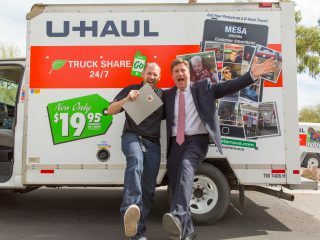 2015 marks U-Haul Company’s 60th year of serving do-it-yourself movers in Canada. 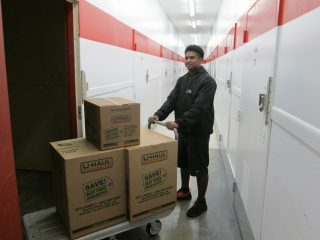 In 1955, U-Haul opened for business with dealerships in Quebec, Ontario, Manitoba, Alberta and British Columbia. 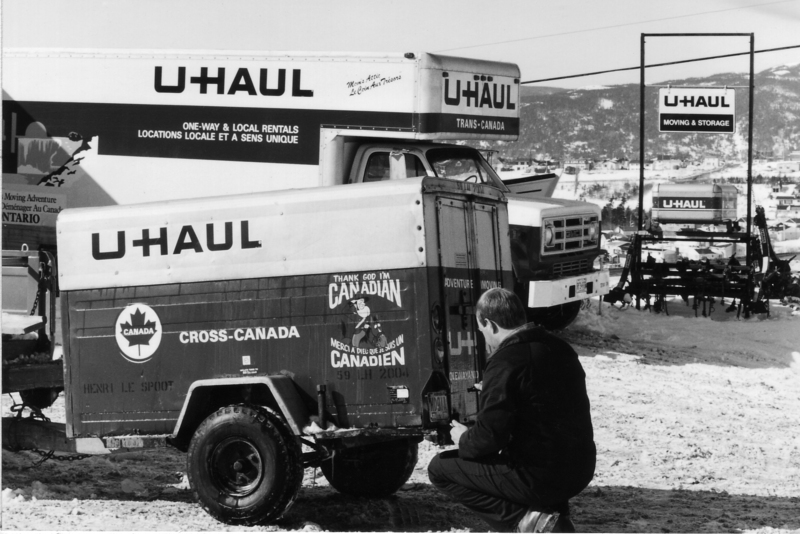 By 1988, U-Haul was open for business in every province and territory. 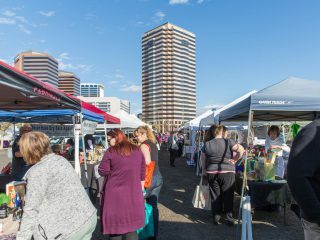 Today, U-Haul Company of Canada boasts stores and dealers from Victoria Island, British Columbia to Halifax, Nova Scotia—spanning more than 3,900 miles coast to coast. U-Haul got its start in Canada in the early 1950s when U-Haul Dealers were recruited through advertisements in Readers Digest. After placing these ads, it took some time for a U-Haul Team member to make the journey to Canada to establish a U-Haul Dealership. 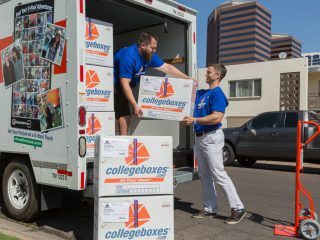 One dealer in Montreal, Quebec, responded to an ad and it was two years before he met a U-Haul Team member face to face. Thankfully, it’s a much quicker process to open a U-Haul Dealership in Canada today. 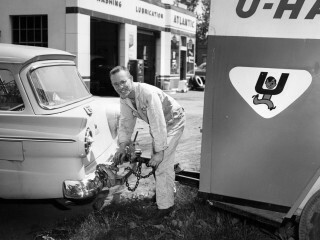 U-Haul Team Member Henry Kelly (right) at Burlington Manufacturing Company in Ontario, Canada, circa 1960. 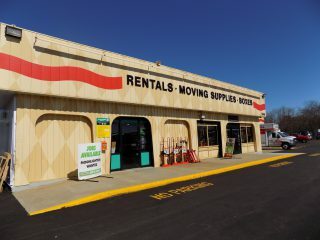 In 1959, not long after U-Haul Dealerships began popping up all over Canada, U-Haul Team Member Henry P. Kelly opened the first Canadian manufacturing plant in Ontario: the Burlington Manufacturing Company. 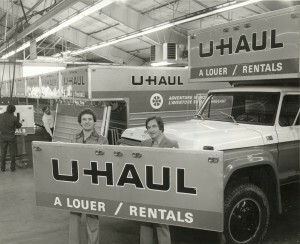 In the 1970s, the first U-Haul Moving Stores were opened in Canada. Along with that noteworthy milestone, French-language decals, contracts, guides and other publications were introduced in Quebec Province. During this time, the first U-Haul trucks were introduced in Canada. 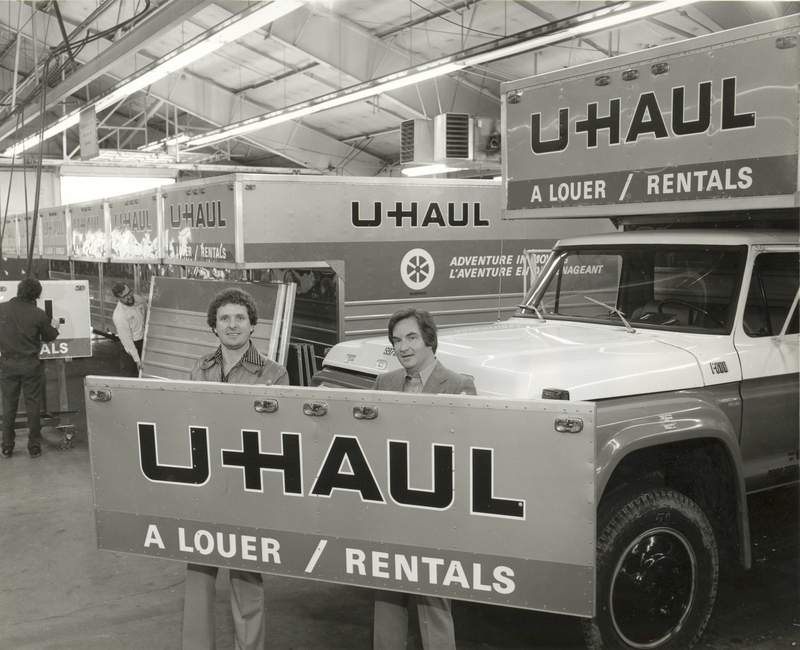 In 1974, U-Haul opened a trailer manufacturing and repair plant in Beloeil, Quebec where trucks were built to meet Canadian specifications. 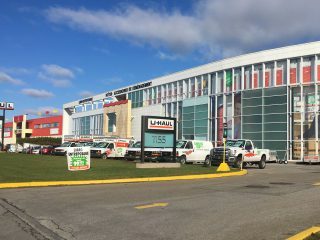 From humble beginnings in 1955 with a handful of dealers, U-Haul today is the largest moving and self-storage company in Canada, with more than 1,435 dealers, 82 stores, 5,547 trucks, 3,913 trailers and more than 2.6 million square feet of storage. 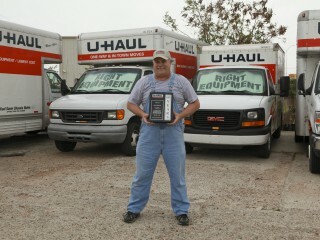 We’d love to hear from our Canadian customers and members of Team U-Haul. Show us your Canadian pride in the comment section below!